Wheeler Service Inc. is proud to serve the Palmer community! 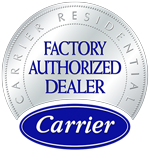 About Palmer, TN - Happy to be your hometown Heating & Air Conditioning Contractor! Palmer is a very rural town located in the county of Grundy with a population of just under 700. It is located about an hour northwest of big city Chattanooga, and is very rich in heritage, and magnificent natural beauty. 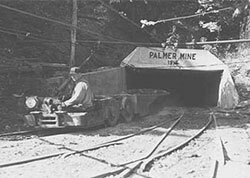 Mining has always been a big part of the Grundy county history and the Grundy County Miner's Museum & Heritage Center was built in Palmer, as a way to help preserve it. Grades K-8 have an excellent public school to attend in Palmer Elementary, and high school students attend nearby Grundy County High School. The Wagon Wheel Restaurant and Pa’s Barbeque offer a nice bite to eat for those out and about, and McCoy Pottery is sure to delight the shopper looking for items that are handmade. Memories General Store in Palmer is open by appointment only and also offers homemade items, as well as more traditional items for sale. Those seeking solace and peace, and who have a great love of nature will relish in the small but friendly town called Palmer. The weather in Palmer is mild but seasonal with cooler winters, warmer summers, and an average annual temperature in the mid-sixties.